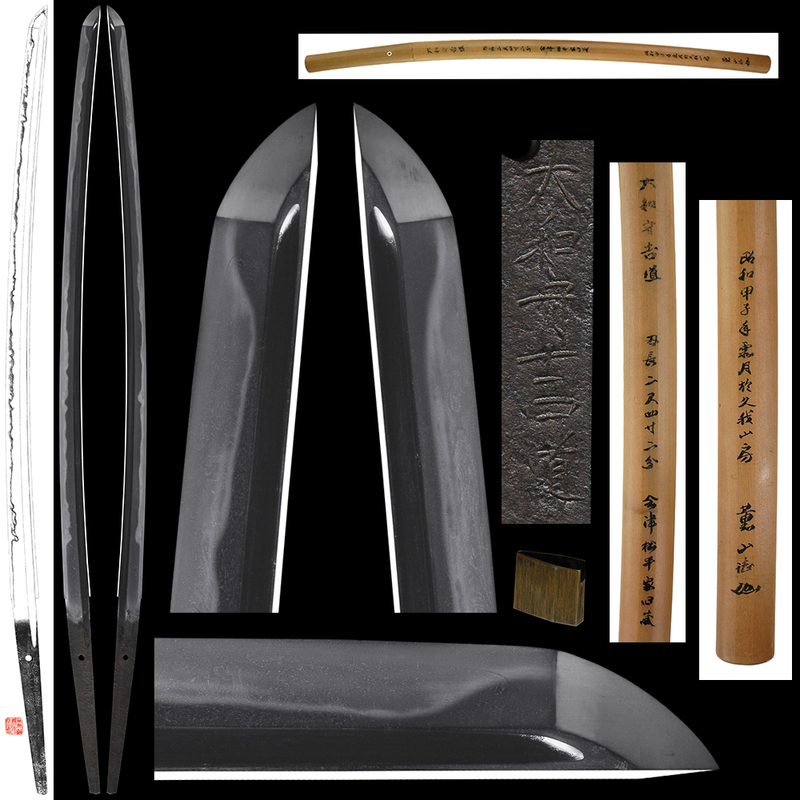 Blade length : 73.4cm or 28.9inches. Sori : 1.4cm or 0.55inches. Width at the hamachi : 3.13cm or 1.23inches. Width at the Kissaki : 2.1cm or 0.83 inches. Kasane : 0.86cm or 0.34inches. 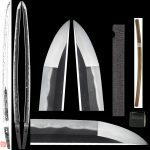 Shape : Wide and thick sword with slight curve. It is kanbun shinto shape katana. There are bohi at both side. Jitetsu :Itame hada well grained with jinie attached. The jitetsu is clearly seen. The jigane is at first glance koto like. become gunome with some notare mix. The ha is high and bamboo curtain like sudareba at the monouchi area . Boshi is round brush up style. Special feature : Yamato no kami Yoshimichi is the second son of Osaka first generation Yoshimichi. by first generation Yamato no kami Yoshimichi. It is wide and thick, rather long sword. The notare and gunome hamon reminds us of Shizu. 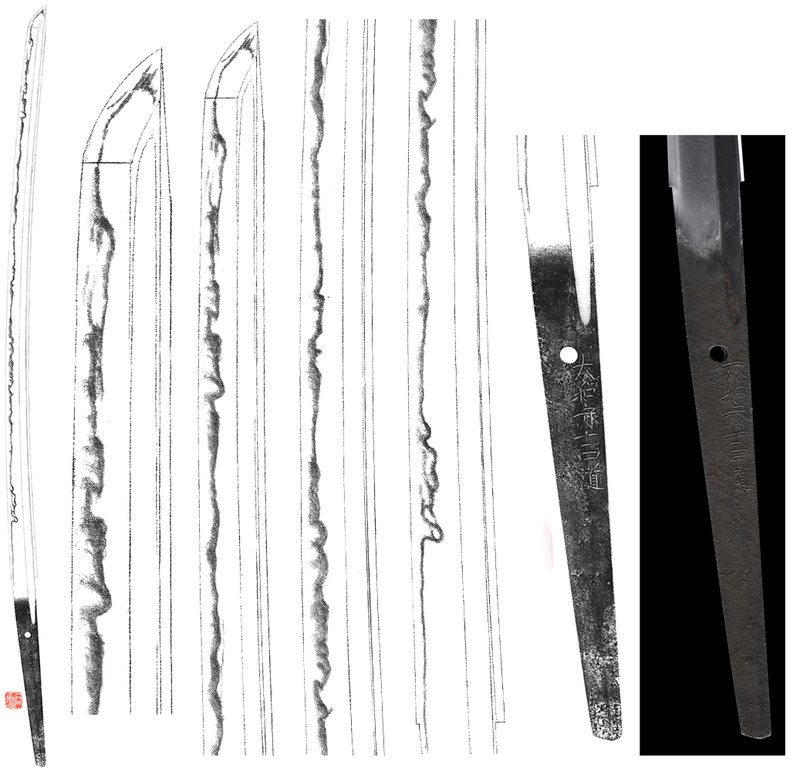 There are many different expression in the hamon. Price (credit card) : JPY 1,150,000-.